Learn to use your embroidery machine to do your own quilting! This easy-connecting quilting technique makes it easy. We will use Design Positioning, which is Husqvarna Viking exclusive technology, to connect your points and finish a quilt! 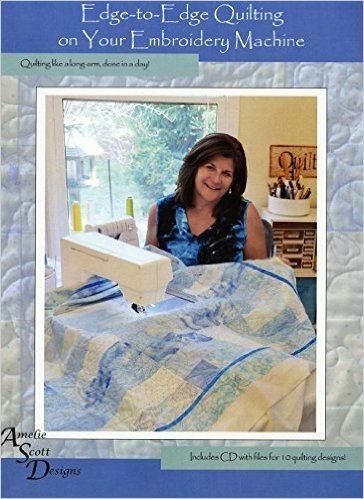 The Amelie Scott book Edge-to-Edge Quilting on Your Embroidery Machine will be used as a guide to learn the technique, along with some helpful tips and tricks Rachel has learned along the way. Design Positioning on your machine is required in order to learn this technique. The method Rachel uses is specific to this technology. If your machine does not have this, you're welcome to rent a classroom Ruby Royale from QC at a rate of $20 for the whole day class. Any for any other models, please check with QC.